This subject guide provides reliable resources pertaining to the study of Classical Greece and Rome, including the study of Latin and Greek languages. The most recent edition of the catalogue of the German Archaeological Institute in Rome. Bryn Mawr Classical Review (BMCR) (ISSN 1055-7660) publishes timely open-access, peer-reviewed reviews of current scholarly work in the field of classical studies (including archaeology). Indexes scholarly works relating to all aspects of ancient Greek and Roman civilizations. If you're getting started on your topic, begin by checking out these encyclopedia and bibliography databases in the next section. They'll provide you with a basic background for your topic, and a list of important papers published on your topic. This is a great time-saver. In the left-hand column, you'll find links to databases that have material on Roman art and architecture. 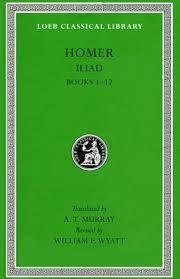 This is a series of books in both Greek and English translation of works in history, philosophy and literature. You can find them in Rhees Stacks: B20.6.L6, or search the catalog by author or title. An anthology of classical literature features more than three hundred selections, including pieces on the origins of the Greek language, works by Homer, discussion on the fall of Rome and St. Augustine, and more.